The Office of Child Support Enforcement (OCSE), telephone 800-332-6347, provides various services to child support claimants. 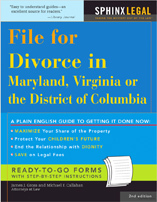 It’s free after a nominal registration fee and can be effective in straightforward cases, especially if the child support payor is earning wages or salary from a Maryland based employer. If your case is more complicated and time-consuming, well, OCSE has a big caseload and it may be a while before they get to it.